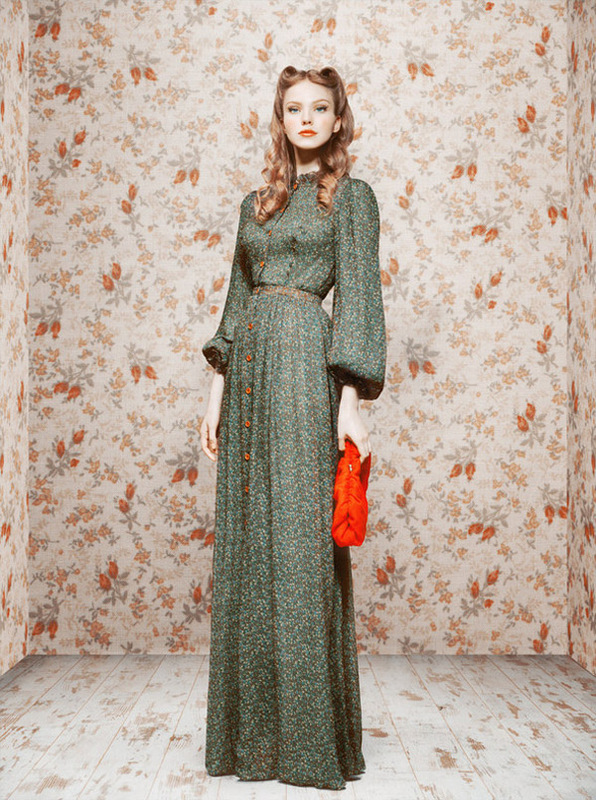 This lookbook featuring the debut collection from Ulyana Sergeenko for F/W 2011 has been sitting in my inspiration folder ever since I spotted it featured via Miss Moss. From there I checked out the full collection thanks to Vogue.ru and was instantly enamoured with the beautifully elegant garments and impeccable styling. In spite of the fact that it's been posted around a few blogs here and there, I wanted to share it here because it's just too good not to. If Fall and Winter looked this good, I'm excited to see what Ms. Sergeenko will offer come spring. Congratulations to Jenny of Modern Modest Beauty and Melissa of Sigh Gush Gasp on winning the Shabby Apple giveaways! these dresses are so pretty, if only I can pull off full length dresses w sleeves! oh wow..that first dress is AMAZING!! I love this lookbook! it has such a different feel from what I've been seeing lately and the colours are so perfect! Wow, those are amazing! Love the drama and vintage style. Wow, what a stunning lookbook! The hairdos in this post have me so inspired! In absolute love!